The Ford plant in Southampton, England, one of two plants in the country that the company plans to close. Ford Motor announced plans Thursday to close two plants in England in an effort to stem losses that it warned could top $1 billion in the second half of this year. The two plants slated to close next year are Ford's assembly plant in Southampton and its stamping and tooling operations in Dagenham, a suburb of London. Together, they employ about 1,400 workers. On Wednesday, Ford announced it would close an assembly line in Genk, Belgium, by 2014. That plant has 4,300 employees. The company previously announced plans to cut an additional 500 white collar jobs across the Continent. Ford said it expects to eventually save between $450 million and $500 million a year from the cost-cutting moves. Ford and rival General Motors have been reporting strong profits in the United States, but European losses have been mounting. Sales there are at a 20-year low due to high unemployment and recession conditions in many countries, brought about by the European sovereign debt crisis. Europe also has labor laws that make it expensive and time-consuming to close plants, which has led to significant overcapacity in the auto industry there. Ford lost $553 million in Europe in the first half of this year, while reporting company-wide net income of $2.4 billion during the same period. The company expects that the plant closures will bring its European operations to profitability by "mid-decade." But even with the rising European losses, Ford expects third-quarter earnings per share, excluding special charges, to top second-quarter results. That's a bit better than current forecast from analysts. Ford is set to report results Oct. 30. Shares of Ford (F) gained 1.6% in midday trading Thursday. 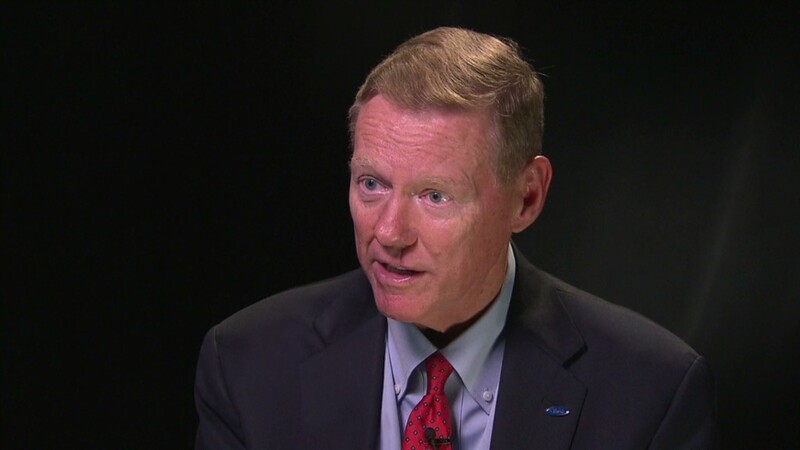 Analysts generally applauded Ford's efforts to address overcapacity in Europe. "Are Ford's European problems solved? Definitely not," said Adam Jonas, an analyst with Morgan Stanley. "But it's an important start and could set the tone [that] Ford is demonstrating the vision and industrial courage to make tough decisions today that will pay off long term." Jonas said other automakers in Europe, including GM (GM), need to be cutting capacity as well. "The biggest unknown is, can others follow in Ford's footsteps?" he said.